First, it is an outlier–it lies outside the realm of regular expectations, because nothing in the past can convincingly point us to its possibility. Second, it carries an extreme impact. Third, in spite of its outlier status, human nature makes us concoct explanations for its occurrence after the fact, making it explainable and predictable. We will tend to more easily remember those facts from our past that fit a narrative, while we tend to neglect others that do not appear to play a causal role in that narrative. Consider that we recall events in our memory all the while knowing the answer to what happened subsequently. It is literally impossible to ignore posterior information when solving a problem. This simple inability to remember not the true sequence of events but a reconstructed one will make history appear in hindsight to be far more explainable than it actually was—or is. . . . Memory is more of a self-serving dynamic revision machine; you remember the last time you remembered the event and, without realizing it, change the story at every subsequent remembrance. . . . We continuously renarrate past events in the light of what appears to make what we think of as logical sense after these events occur. Taleb’s insights can prod us to think better about how we read Scripture. Why? Because we all approach the reading of Scripture from a certain already-learned perspective. Like those ornithologists who expected all swans to be white (because that is all they had ever seen), we are inclined to read Biblical accounts with the expectation that the lives we read about will be much like our own. We come to the text expecting to find something familiar, something we can relate to our own lives. We tend to read Scripture with one eye on the text and one eye on how we have come to experience life—and our experiences often cause us to either overlook or explain away the Black Swans we encounter in the Bible. What might we take away from Taleb’s observations that could help us be better readers of the Biblical text? Be attentive to our pre-formed ideas of what God is like, what He should do, or how Jesus must act. We can’t read Scripture without some pre-understanding, but when we approach texts with an over-confidence in “what swans must look like” (based on our experiences), we will find it hard to read well. 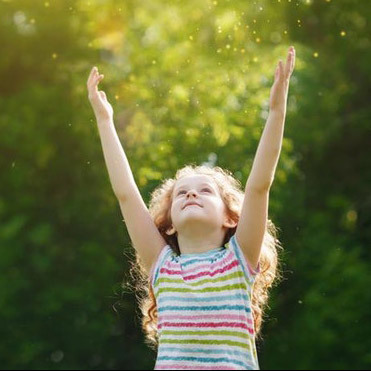 We can end up overlooking (or even dismissing) passages that don’t fit our view of life. An example of this “what swans must look like” underlies the problems the religious leaders had with Jesus as recorded for us in John 9. Jesus healed a man born blind; everyone knew this to be true. He was born blind, he parents affirmed he was born blind, and then the man could see—and Jesus did that. Even the religious leaders had to admit that Jesus healed the man—but they couldn’t make sense of what happened. These religious leaders had been brought face to face with a black swan. They were convinced—based on their experiences and their way of reading Old Testament texts—that God would never have done what Jesus did. Although the account is not about reading texts, the response of the religious leaders to what they could literally see right before their eyes is what can happen when we encounter a black swan in the text. We can conclude the plain reading of the text cannot be true because of what we already think we know must be true. 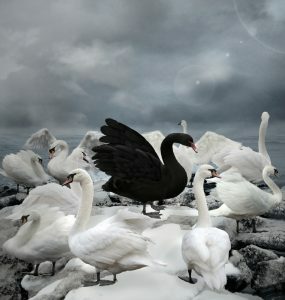 We cannot make sense of being confronted with a black swan because we “know” all swans are white! Be aware that when we are sure about what we “remember” about texts we have read, we might just be misremembering to make Biblical accounts fit together the way we believe they are to fit. We all will, inevitably, weave together strings of passages from Scripture we have read. But when we rely solely on what “we remember the Bible says,” we may end up misreading texts. We can end up misconstruing familiar texts in order to confirm what we insist the text before us must mean. This tendency seems to be what framed Jesus’ repeated query to those He spoke with: “Have you never read?” (e.g. Matthew 21:16, 42; Mark 2:25). It is unlikely that Jesus thought that His religiously trained questioners had never actually read the texts He points them to. It is more likely that He wants them to be aware that they might not be appropriately remembering those texts. He intended for them to hold loosely their recollecting of what they “remembered” about passages so they can better understand what He is saying to them. Because God’s thoughts are not our thoughts (Isaiah 55:8–9) and because His message to us in the Scriptures is not something we would have known apart from His gracious revelation (Romans 16:25; 1 Corinthians 2:9–10; Ephesians 3:4–5), we will encounter black swans when we read the Biblical text. This doesn’t mean that we won’t be able to understand what we read when we open the Scriptures—any more than those who first encountered a real black swan couldn’t (ultimately) make sense of what they had encountered. It only means we will need to approach our reading of Scripture with a healthy humility and an openness to being confronted with truths we might not have been able to anticipate. Taleb, Nassim Nicholas, The Black Swan(New York: Random House, 2010); the quote comes from the sub-title of the book.